WASHINGTON — Earlier this month, on the 5th floor of the FBI’s Washington Field Office, in the shadow the nation’s Capitol, John G. Perren, special agent in charge of the Counterterrorism Branch, talked to ticklethewire.com editor Allan Lengel about lessons learned since Sept. 11, about the challenges the Internet has posed for terrorism investigations and the dedication he expects from his agents who work the endless leads and reports of suspicious activities that flow into the office. Perren is no stranger to counterterrorism. He was supervisor of the Washington Field Office’s Joint Terrorism Task Force and then assistant special agent in charge. In 2005, he spent a half year in Iraq as the FBI’s on-scene commander before returning home to headquarters to become section chief of the Weapons of Mass Destruction/Domestic Terrorism Operations Section. 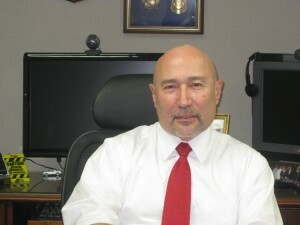 In 2007, the former D.C. cop was named special agent in charge of the Counterterrorism Branch at the Washington Field Office. He has twice filled in as acting head of the field office. Posted: 12/21/10 at 10:17 AM under FBI, Special Report.